Women are taking advantage of a market that currently needs a lot of truck drivers and quickly. 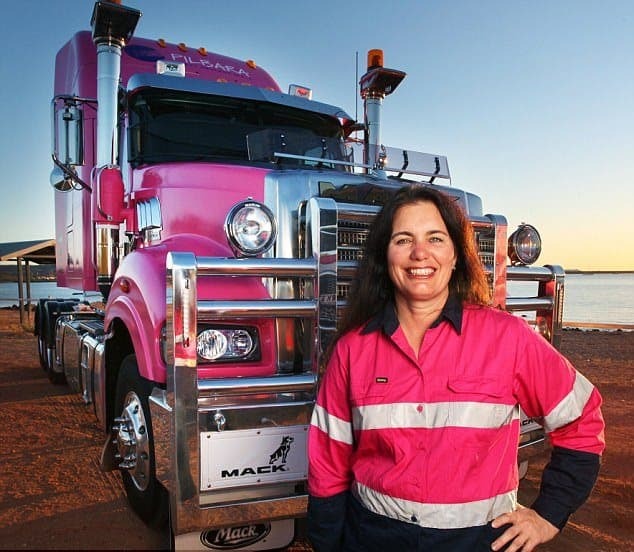 The transportation industry in Melbourne and across Australia is suffering from a historic lack of skilled Female Truck Drivers. In response, trucking companies such as Linfox are prepared to employ women who can have a truck licence. To overcome the shortage of truck drivers they are encouraging women to undergo the right kind of training to satisfy the needs of the transport industry. While there have been plenty of sexism and bias in the past, today’s industry offers women plenty of opportunities for a successful career in truck driving or even truck maintenance. Recently Scania in Brisbane opened its doors to forty female high school students from the Glenala State School in a bid to promote career opportunities for women within the truck and bus industry. The need for more female truck drivers has made the transportation industry much more progressive. As the need for skilled truck drivers increases, transport companies have raised wages and benefits to match. The latest generation of Heavy Vehicles trucks has made it much easier for women to drive. Traditionally some trucks and gearboxes have made it difficult at times for many women to drive. They might have struggled to reach the pedals or found that manual shifting can require a great deal of upper body strength. As more women have pursued a career in the transport industry, truck manufacturers have responded with more customizable cabs,automatic transmissions and adjustable seats to make trucking easier for female truck drivers. They have also introduced new security features to keep truck drivers safer behind the wheel. These advancements guarantee that just about anyone can become a trucker, regardless of shape or size. The industry needs female truck drivers and the best place to obtain your HR or MR Truck Licence is COVE Training. We’ve enabled thousands of people just like you make their way into a lucrative industry, and we continually develop our training techniques to ensure we are the best. Contact one of our friendly customer service team members to find out which course is most suited for you. Call 03 8773 9000 to book or for more information.